Deacon Paul Shelton of the Church of the Blessed Sacrament in Baltimore may have worn a T-shirt to the funeral Mass of his friend, Father Joseph B. Hughes, but the move was far from careless. The shirt with a statement – “There is no darkness in Christ, only light” – recalled those sported by Father Hughes in his later years, when he would attend Masses at Blessed Sacrament as a member of the congregation. Father Hughes died Nov. 25; he was 83. His funeral Mass was offered Nov. 29 at Blessed Sacrament. He assisted there, and at other parishes, on weekends and with sacraments, following his official retirement in 1996. Bishop Denis J. Madden, auxiliary bishop of Baltimore, celebrated the Mass; Deacon Shelton delivered the homily. 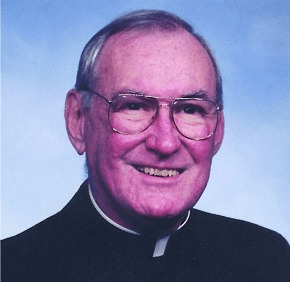 A Baltimore native, Father Hughes attended the former elementary school at St. Mary, Star of the Sea Parish in Federal Hill and Mount St. Joseph High School in Irvington. He graduated from what is now Loyola University Maryland and received his priestly formation at St. Mary’s Seminary and University in Roland Park. Father Hughes was ordained to the priesthood for the Archdiocese of Baltimore May 20, 1967, at the Cathedral of Mary Our Queen in Homeland. Following his ordination, he served as associate pastor of the cathedral, as temporary administrator of the former St. Bernard Parish starting in 1985, and as pastor of Most Precious Blood in Baltimore (since twinned with St. Anthony of Padua) starting in 1987. He also served in special ministries, including working with the Department of Juvenile Services starting in 1971 and coordinating the archdiocese’s gay and lesbian outreach from 1981 to 1996. During the 1980s, according to Deacon Shelton, Father Hughes used his home as the base for his ministry. “His house became the center of his hospitality – his ministry,” Deacon Shelton said. That spirit, he added, has helped Blessed Sacrament stay alive and continue to be salt and light to the neighborhood, offering food to the hungry, a meeting place to the addicted, and a place for those without major means to host family reunions or funeral repasts. Deacon Shelton said that although Father Hughes’ body gradually “gave in,” the priest “never gave up,” going so far as to fashion a sling from his belt to help support his arm as he distributed the Eucharist. When he wasn’t celebrating Mass, parishioners were delighted to see him attend it, said Father Joe Muth, pastor of Blessed Sacrament. “People appreciated that spirituality – him coming in even when he wasn’t preaching,” Father Muth said. He added that Father Hughes loved animals, his dog, Maggie, in particular. She is seen with the priest in his last known photograph, taken at Mercy Medical Center in Baltimore, Father Muth said, after special permission was secured for the visit. Maggie became ill and died shortly after Father Hughes passed, Father Muth added. 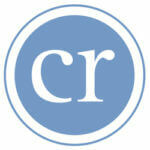 To see more obituaries, click here.